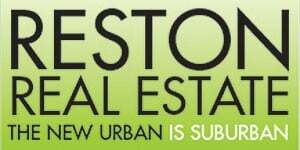 This is a sponsored post by Eve Thompson of Reston Real Estate. It’s been a busy spring market in Reston. We have a lot of houses — there are 330 active listings. That’s more inventory than we’ve had in quite a while. Things are active; there are 189 pending contracts and 136 properties sold in the past 30 days. That leaves us with a 2.4 -months supply of homes. Days on market is still slightly long, with the average Reston home on the market for 42 days. Here are a few of the recent sales. 11990 Market St #2101. 2BR, 3BA. List Price: $1,600,000. Sold Price: $1,600,000. 11603 VANTAGE HILL RD #C. 3BR, 2BA. List Price: $195,000. Sold Price: $211,000. 1926 UPPER LAKE DR. 4BR, 3BA. List Price: $1,300,000. Sold Price: $1,150,000. 2313 FREETOWN CT #2B. 2BR, 1BA. List Price: $155,000. Sold Price: $155,000. Seller Subsidy: $5,000. 12128 CHANCERY STATION. 3BR, 3.5BA. List Price: $724,500. Sold Price: $710,000. Seller Subsidy: $6,000. 1629 PARKCREST CIR #101. 1BR, 1BA. List Price” $189,900. Sold Price: $186,500. Seller Subsidy: $5,400.